With the gravel discipline on the rise and many cyclists riding over mixed terrain, Fulcrum set out to develop a solution better tailored to the unique needs that these rides present. 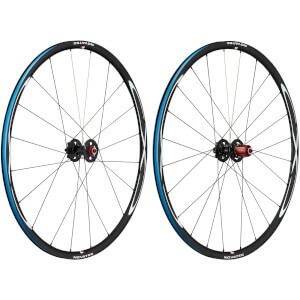 Cyclists enjoying this type of riding predominantly choose disc brake configurations as it permits larger tires and surefooted stopping power. Introducing the Fulcrum Racing 7 DB with a wider rim design perfect for 28 to 50mm tires. The wider C19 stance allows for a more solid structure and better rim/tire interface in the event of larger tires and uneven terrains commonly associated with gravel riding. Lower profile and wider stance have proven to be key elements in improving the riding experience for adventure/gravel riding along with the possibility to run a tubeless set up thanks to the 2-Way Fit Ready™ construction.